Beyer Tile and Grout Cleaners San Antonio are the best cleaners in town. 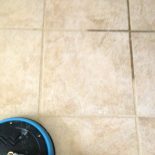 We provide the best tile and grout cleaning in San Antonio. We will restore your dirty, nasty, ugly tile and grout to it’s original state. We are proud of out tile and grout cleaners and the quality clean we provide. Our technicians are highly trained and skilled to get the tile and grout cleaning job done right the first time. We will not hassle you about price or square footage. If you are doing a large area we are will to work with you on price and offer a discount. Beyer tile and grout cleaners San Antonio won’t leave you disappointed. We are proud of our tile and grout cleaning jobs and are happy to work with all types of tile. If your tile and grout is already in it’s original state and you just need a steam clean we offer a lower price for that as well. We are here to service all of your tile and grout cleaning needs. Tile and grout is second nature to Beyer Carpet Cleaning San Antonio. Yes, we our main specialty is carpet cleaning in San Antonio but we clean tile and grout just as well. We are not scared to tackle on a large job and we are happy to clean your small areas. We have cleaned tile and grout cleaning in San Antonio from charter schools to homes to offices. We clean it all. Beyer tile and grout cleaners San Antonio will work hard to make your tile and grout look brand new. We will work all day and night if need to in order to get the job done. Beyer Carpet Cleaning in San Antonio never leaves a home or business with an unhappy customer. Call Beyer Carpet Cleaning for all of your carpet cleaning in San Antonio, tile and grout cleaning, and upholstery cleaning today.